Jennifer Skulski has more than 25-years professional experience as a consultant, instructor, and researcher advocating for the inclusion of people with disabilities in parks, recreation and tourism. She has diverse expertise in the ADA accessibility standards specific to recreation facilities and outdoor recreation environments, program access provisions required under Title II of the ADA and Section 504 of the Rehabilitation Act, accessibility assessments, transition planning, and universal design. Jennifer started her career at the Rockford (Illinois) Park District as the ADA Coordinator shortly after the federal legislation was passed. There she completed one of the first model Title II Self-Evaluations and oversaw the district’s Transition Plan implementation. In 1995, Jennifer joined the National Center on Accessibility at Indiana University and quickly emerged to be one of the premiere national experts on inclusion of people with disabilities in parks, recreation and tourism. From 1998 to 2000, Jennifer served as the Associate Director at the Great Lakes ADA Center, one of the 10 regional centers federally funded and designated to give technical assistance on the regulations and standards of the ADA. During her tenure at the Great Lakes ADA Center, Jennifer is most proud to have worked with Project Director, Robin Jones, to establish the ADA Audio Conference program, a monthly educational session featuring the most relevant ADA topics of the day presented by national leaders in the field. 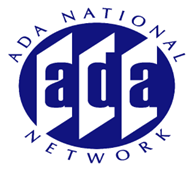 This national distance learning program is now celebrating its 18th season of programming by the ADA National Network. In addition to her training and technical assistance experience, Jennifer has led accessibility assessment teams for more than 500 municipal recreation facilities and 60 national parks. She has consulted with organizations such as the Rock and Roll Hall of Fame, Cleveland Metroparks, Minneapolis Parks and Recreation Board, the City of Minneapolis, Great Parks of Hamilton County, Commerce City Parks and Recreation, Arlington Height Park District, the City of Mobile Parks and Recreation and the National Park Service. She has trained professionals on accessibility issues, assisted municipalities with prioritizing accessibility improvements, and facilitated public input on barrier removal. Over the years, Jennifer has worked closely with staff of the U.S. Access Board, the Disability Rights Section at the U.S. Department of Justice, the National Park Service, the Smithsonian Institution and the John F Kennedy Center for Performing Arts. From 2008-2013 Jennifer served as the principle investigator on the accessibility of playground surfaces, a longitudinal study funded by the U.S. Access Board. This research serves as the most comprehensive study of accessible surfaces to date. Most recently, Jennifer authored 7 Things Every Playground Owner Should Know About the Accessibility of Their Playground Surfaces, a technical guide published by the Access Board. In 2014, Jennifer formed her own firm, Skulski Consulting LLC, serving federal, state, local and private entities focused on making their services accessible to people with disabilities. Skulski Consulting LLC provides training on the ADA, program access, the accessibility standards and universal design as a best practice of customer service. In addition, the firm conducts accessibility assessments, evaluations of polices/practices/procedures and facilitated transition planning for organizations. 04/19/2011 - Are My Recreation Facilities Accessible? Where Do I start?